Members of Rotary Club of Woburn recently completed a service project to help families celebrate children's' birthdays. Spearheaded by Jim Major, the club organized supplies and ingredients needed for a family birthday celebration. The bags were donated to Woburn's food pantry located at The Council of Social Concern on Merrimack Street. 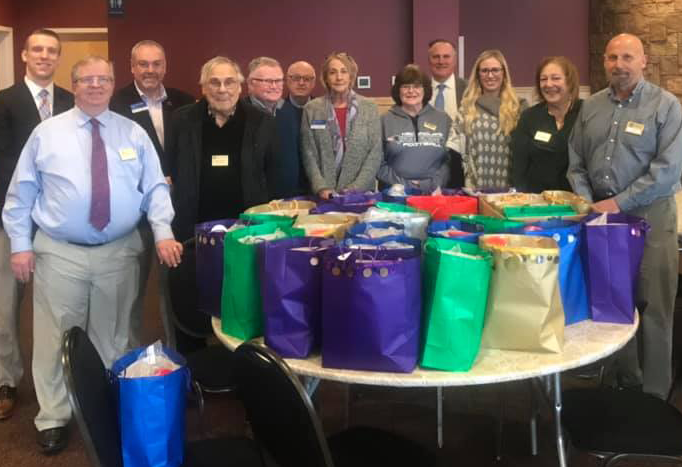 Most club members were on hand to organize and distribute the supplies to make each bag, including president Susan Hartmere and recent past president William Sullivan.